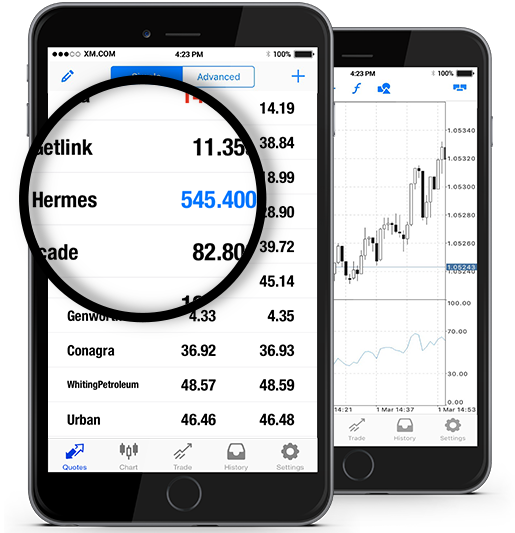 At XM we offer Hermes International SCA (HRMS.PA) stocks as cash CFDs. Our cash CFDs stocks are undated transactions that aim to replicate the cash price of the underlying stock, and so they are adjusted for any relevant corporate actions. Hermès International SCA is a Paris-headquartered company that manufactures and sells high fashion luxury clothing and accessories, with special focus on leather goods, along with home furnishing, perfumes, and jewellery. The company operates its business via a large network of exclusive stores and retail shops throughout Europe, Asia, the Americas and the Pacific region. Hermès is a CAC Next 20 component, and it is listed on Euronext. *** Note that the maximum trading volume for Hermes per client is 16 lots. This limit will be reviewed on a daily basis and updated according to the value of the instrument. How to Start Trading Hermes International SCA (HRMS.PA)? Double-click on Hermes International SCA (HRMS.PA) from the “Market Watch” to open an order for this instrument.